I spent a week at the end of April/beginning of May in Arizona. 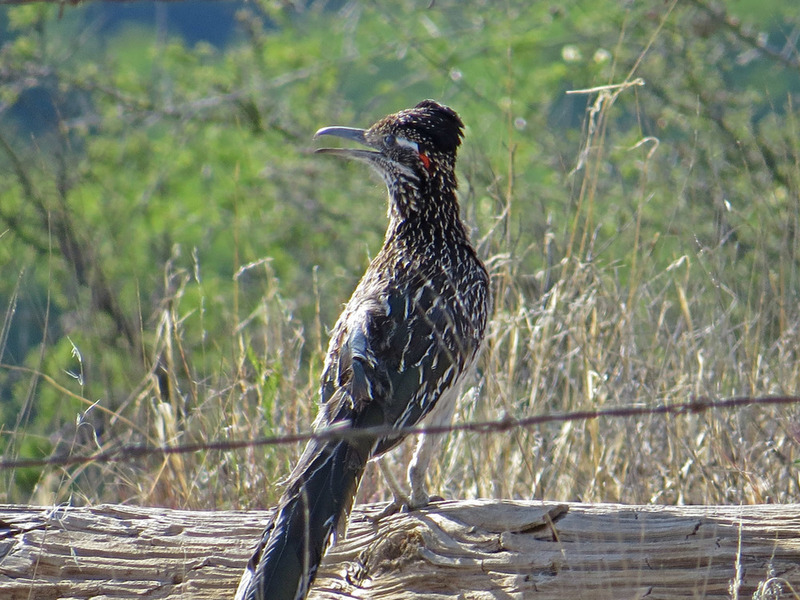 While in Camp Verde, I got to see my first greater roadrunner on May 3, the last day of my trip, in the backyard of my hostess's house. It was a thrilling sight. 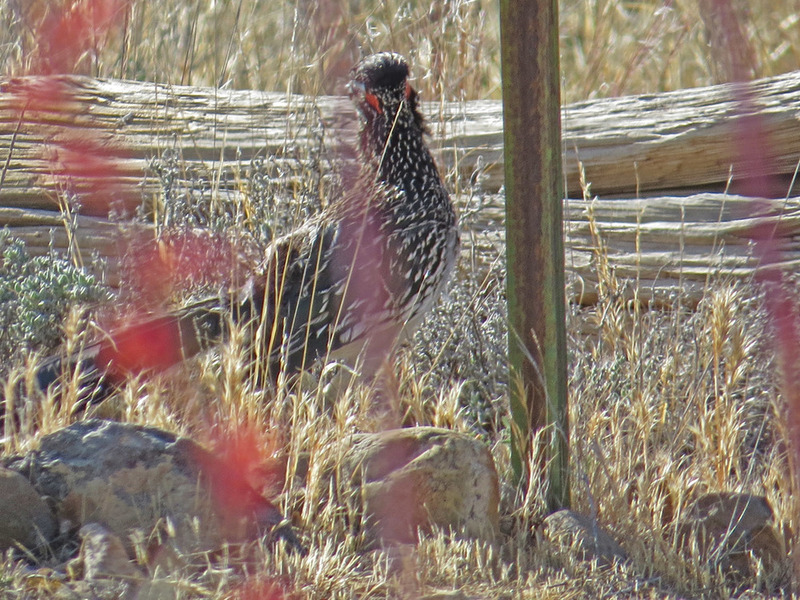 I took a little bit of video and as many photos as I could in the short time the bird visited. 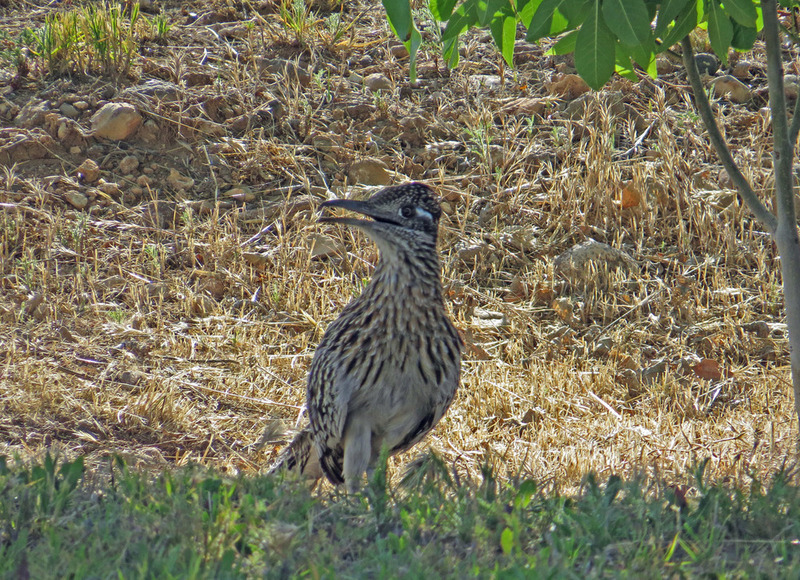 The greater roadrunner is a hardy bird that runs fast, can catch snakes and can survive in the hot, arid desert climate. the Cornell ornithology Web site has a nice description. 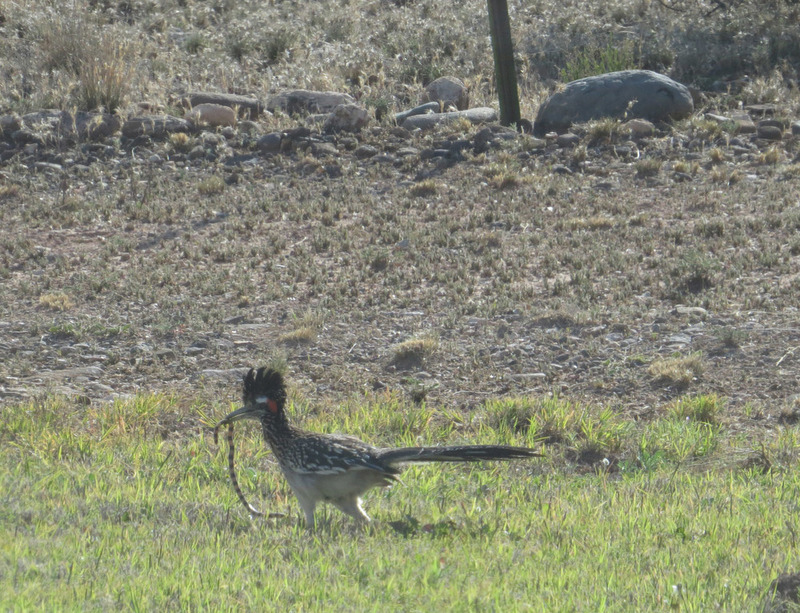 Before I saw the roadrunner, one of the cats I shared the house with was playing with a little snake. I took some video of that. 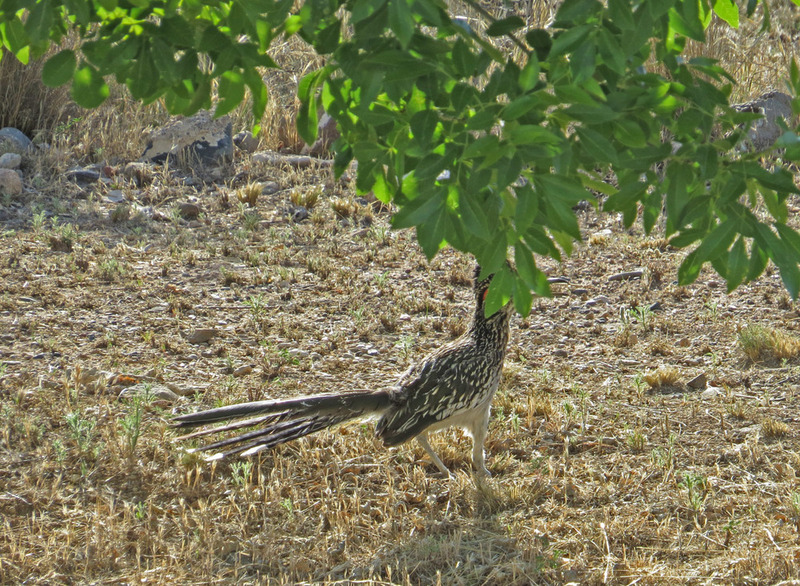 When the cat moved away, in came the roadrunner to grab the stunned little snake. 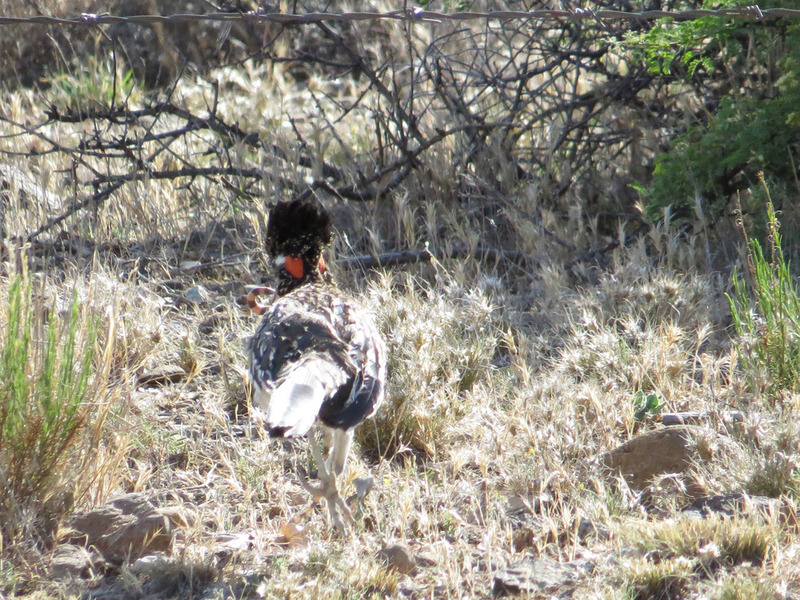 I grew up watching Wile E. Coyote and the Road Runner cartoons. 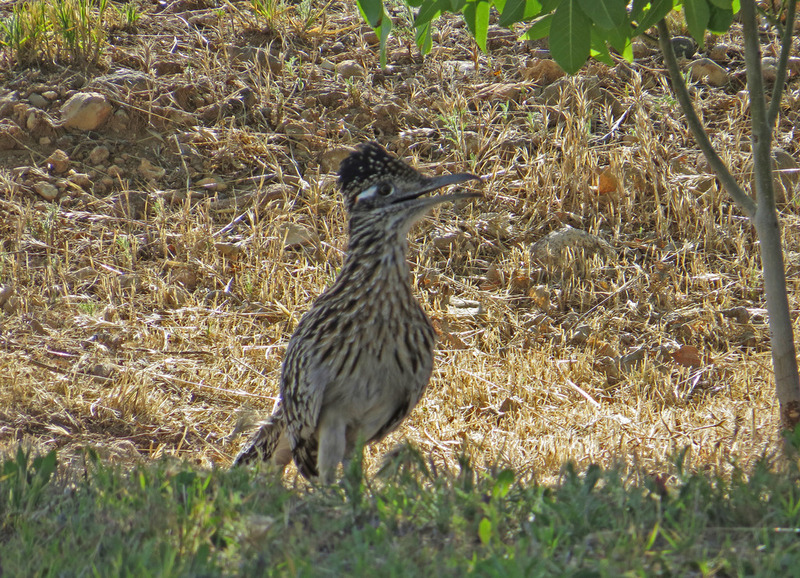 This was my first chance to see a roadrunner. 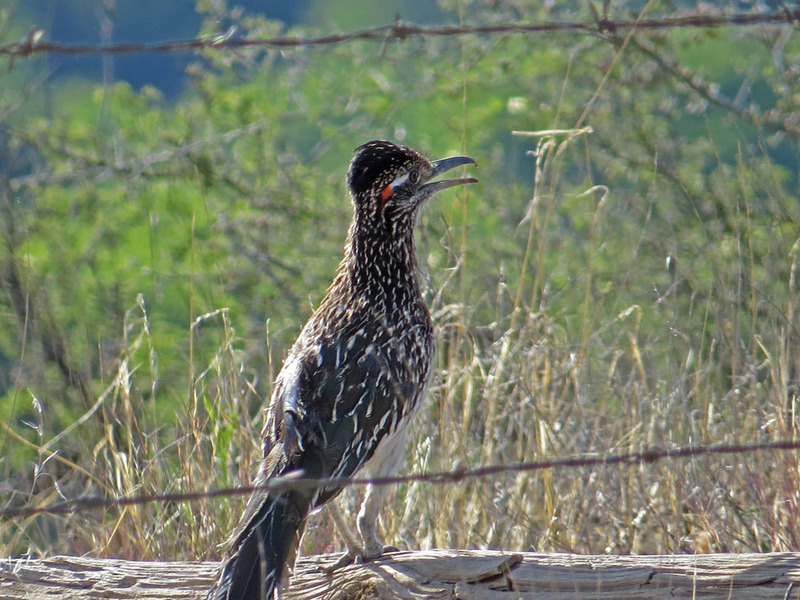 I didn't see a coyote, or any Acme logos anywhere. Maybe next time. 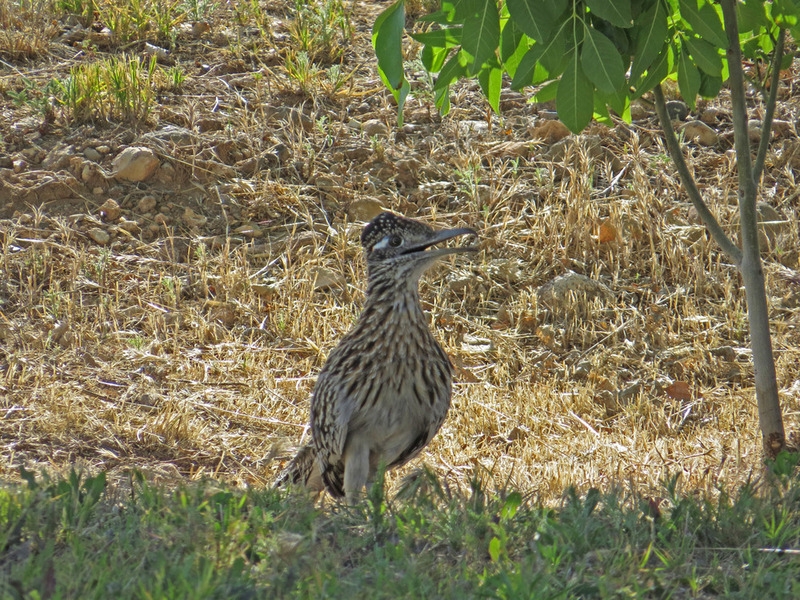 I did a short film of the roadrunner, which I've added to the Filming the Feathers collection of Silly Videos by Susan Kirby. I set it to music by Debussy. It's very short! The photos in this gallery are included in the video, but you're welcome to look at them here.